A Post Full of Rye: BBAC #32, 34, And 35 ~ I Can Do That! Great job on this rye collection! but yours turned out pretty good! Oggi, I agree! That brick looks like something out of a factory! I do however love your giant bagel. It's so pretty. The brick up top looks like most breads here in Germany. Mostly kidding. But you can get bread like that almost anywhere. And they call it healthy! The other two have beautiful crust and crumb. I was dragging my feet since I don't like rye, but I guess I can start tRYEing anew. Haha. Cindy, the giant bagel tastes great too. Daniel, is "the brick" tasty or bran-y? 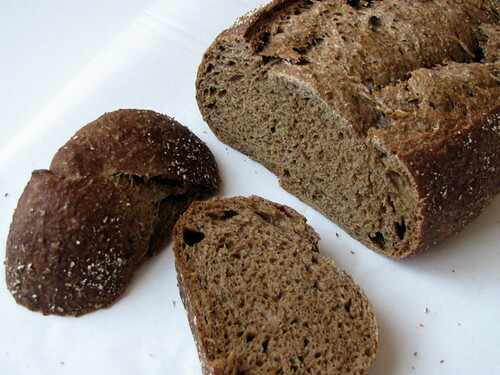 I was also unhappy with too much rye/sourdough recipes and didn't expect to love the pumpernickel but I really like it. 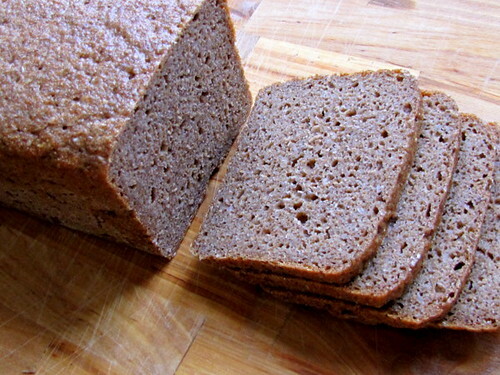 I want to wave the flag for the 100% Sourdough Rye Bread! I just made it today and first thought it would be horrible because it didn't rise at all and the dough was hard to work with, but the result was great. I don't know why yours didn't have any flavor, mine was really full of flavor. Sour, though. 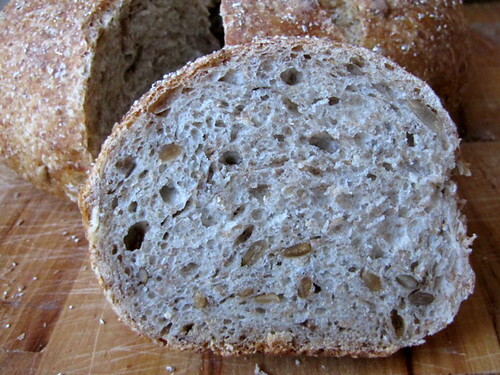 But it's supposed to be sour because of the sourdough. 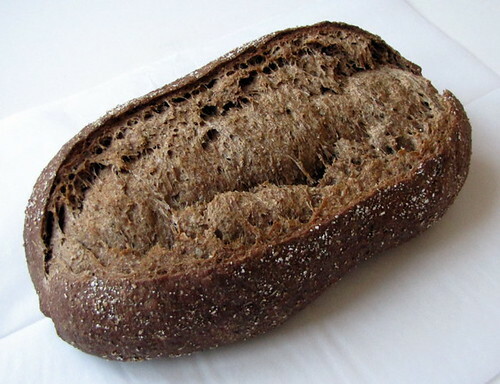 Anyway, too bad nobody besides me seems to like this bread. 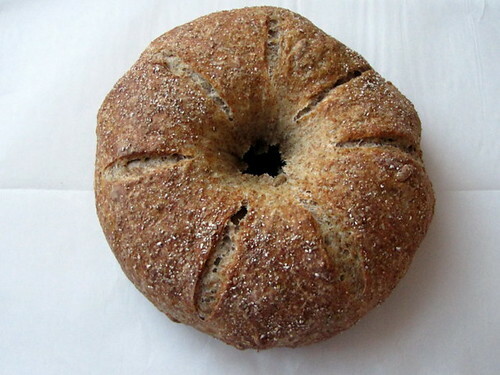 The big sunflower seed bagel looks really interesting. I shaped mine into bâtards to get oval loaves. But flavor-wise, it was kind of boring, I thought... The hubby loved it, though.